Some maintenance work will soon allow a South Australian telescope to peer into the yawning expanse of space once more. The dome that covers the publicly-accessible telescope at Stockport, north of Adelaide, is being repaired. The patch-ups are fairly overdue, with the lid of the giant mechanical eye remaining shut for the last two years. The observatory is an important teaching tool for turning young people on to the wonders of science, exploration, curiosity and outer-space. 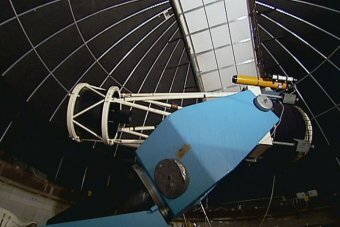 The Astronomical Society of South Australia has been given $50,000 by the State Government to pay for half of the cost of a new dome. The astronomical society's Robert Jenkins says it is an excellent asset for public enjoyment and education: “Astronomy is one of those sciences where people in the public can actually get heavily involved. The equipment available these days, the cameras, the incredible telescopes, a few years ago were only for the top end scientists,” he said.